Life can get hectic! Between work, kids, appointments, and the gym, we hardly have time for anything else — especially time to cook and prep a week’s worth of healthy meals. That’s where we come in! ProteinHouse is here to help relieve the stress that comes with preparing and eating healthy meals every day by doing the hard work for you! Whether you need one meal a day, or three (or six! ), we have you covered! 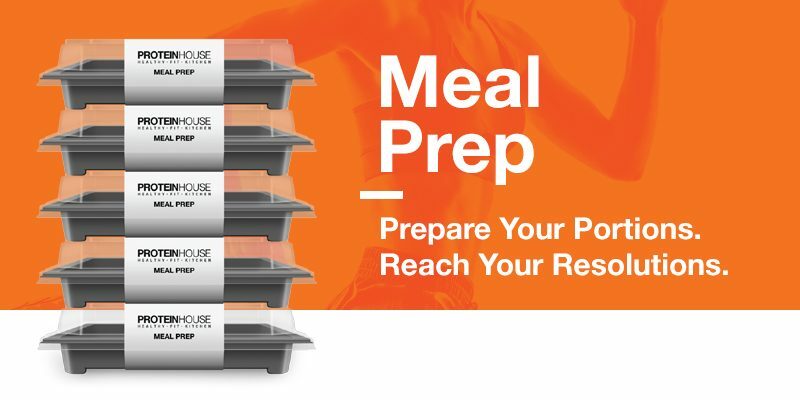 ProteinHouse Meal Preps are high in protein, made fresh to order and are completely customizable with natural, hormone-free ingredients. Get started now and let us help you fuel your lifestyle and fitness goals!